Victories and losses aside, there is always a bitter taste to follow an Emmys ceremony like the 2015 Emmy Awards — one marking the last time we’ll see some of our favorite creatives nominated for the projects we’ve spent years watching and celebrating. The 67th Primetime Emmys marked the first and last Emmy Jon Hamm would ever receive for playing Mad Men’s tortured Don Draper, and the only trophy showrunner Armando Iannucci will have received before parting ways with Veep. 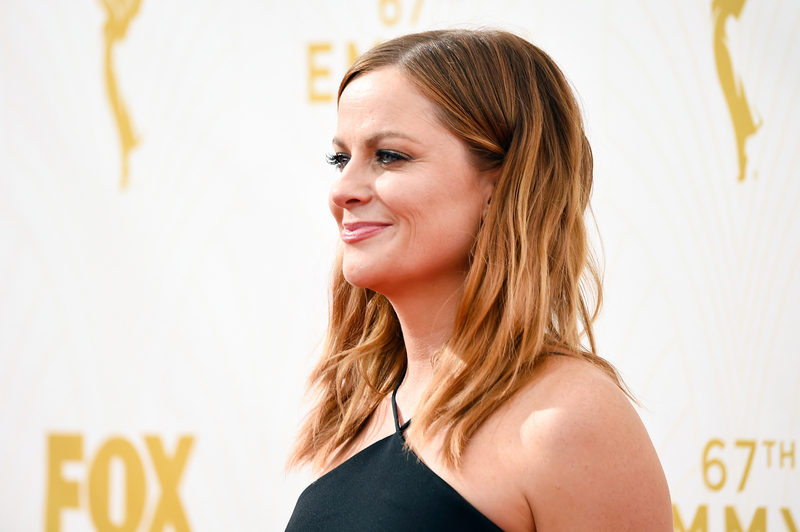 Likewise, the broadcast saw Amy Poehler nominated for an Emmy one final time for recognition of her years as Parks and Recreation heroine Leslie Knope, while Elisabeth Moss and Edie Falco likewise rounded out their tenures on Mad Men and Nurse Jackie with a run for top dollar accolades. But what projects will the Emmys winners and losers do now that the ceremony is over? No matter the outcome of a final shot race for a personal favorite, the aftermath is always a bit somber. As happy (and as unsurprised) as we might be that Jon Stewart now has one more trophy to commemorate the work he did on his newly terminated reign over The Daily Show, this isn’t quite enough the pad the blow of his dismissal from our nightly lives. But there’s always something to look forward to, new roles and projects yet to be undertaken. So what do our departing icons have coming up? Coming up next: As is not uncommon for a television role of such esteem, Don Draper seems to have begat Hamm a life in the pictures. The Mad Men star recently signed onto High Wire Act, a politically charged thriller about an American diplomat heading a rescue mission in 1980s Beirut. Rosamund Pike will star alongside Hamm. Coming up next: Plenty. If you’re bummed about a world without Leslie Knope, you’ll be able to quell those emotions with any number of other Poehler-starring and -backed projects. As it stands, Poehler produces Broad City, Difficult People, and her brother’s sitcom Welcome to Sweden, and has just begun development on a comedy program called Dumb Prince — appropriately, it’s about an unintelligent royal reluctantly taking his family throne. She’ll star alongside pal Tina Fey in the nutball comedy Sisters later this year and alongside Will Ferrell in The House (which, with a plot about two parents trying to resolve their daughter’s college fund by running a gambling ring in their basement, sounds even nuttier) in 2016. But most interestingly of all is Poehler’s standing Smart Girls organization, which helps to showcase and foster the creative exploits of young women. Coming up next: Political satirist Iannucci won’t stray far from his The Thick of It, In the Loop, and Veep roots, but his next piece adds a new bit of flare into the recipe. Iannucci will be adapting the Cold War graphic novel The Death of Stalin as a feature film. Coming up next: Even more rapidly than Hamm’s launch from Mad Men to big screen prevalence is his costar Moss’. Before even closing out her days as Peggy Olson, Moss began exploring interesting projects elsewhere, both in film (last year’s Listen Up Philip and The One I Love) and on television (the immaculate Top of the Lake). At present, Moss can be seen in the heavy indie drama Queen of Earth, and there’s lots more where that came from. She recently signed on to star in an adaptation of Anton Chekov’s The Seagull as well as in the dramatic piece The Free World, about a convict undergoing rehabilitation. Coming up next: We didn’t spend quite enough time with the miniseries Olive Kitteridge to “miss it” in the same way that we will Mad Men, Parks and Recreation, or Nurse Jackie (whose star Edie Falco is focusing on spending time with her family for the foreseeable future), but there’s always interest in knowing what talents like Frances McDormand and Richard Jenkins are up to next. For McDormand, it’ll be a voice role in the Pixar film The Good Dinosaur, followed by a part in her husband Joel Coen’s showbiz comedy Hail, Caesar!. For Jenkins, a senatorial position in the biopic LBJ is prepped for 2016. Coming up next: Since Key and Peele only just ended its five-season-run two weeks back, the sketch show will be viable for nomination at next year's Emmys. But we're still aching to know what the eponymous comedy duo will get started in the meantime. In fact, the pair has two film projects in the works at present: Keanu, a screwball comedy about two friends getting involved in the drug world in an effort to rescue their cat, and a big screen adaptation of their popular "Substitute Teacher" sketch. Coming up next: The big question. Whether he’ll follow up Rosewater with another feature project, return to the stand up stage, or get back to the acting game he once knew in his Death to Smoochy heyday is yet to be seen. But we’re excited for whatever it may be. Whether these actors, actresses, and writers won an Emmy or not, it will be interesting to see their next projects.